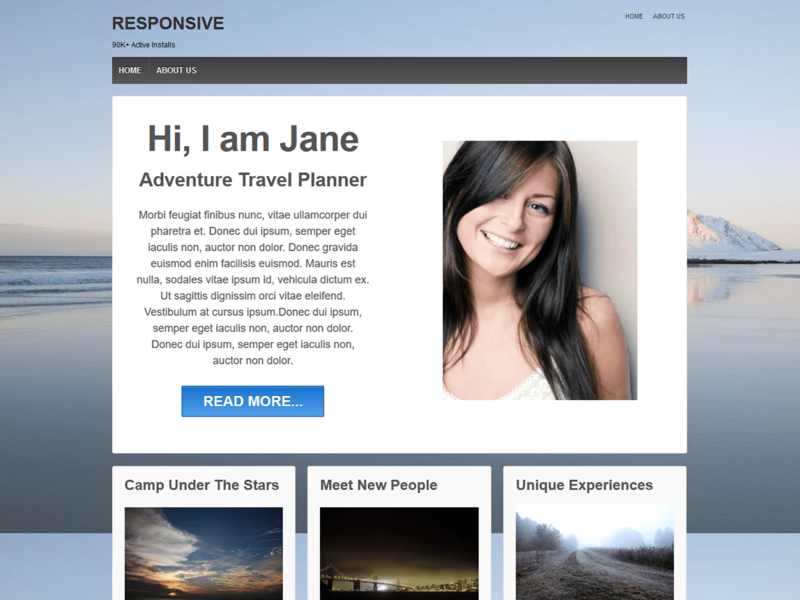 Responsive ii ( code-named Responsive Mobile) is a modern Mobile-Friendly WordPress Theme. Perfect for Business, Corporate, Agency, IT company websites. Full-with background image and a Call-To-Action above the fold. Designed using a light framework to load your site faster. SEO-Optimized. Eye-catching designs for Team, Testimonials, Services Sections that are easy to set up too. Highlight your key offering in a Call-Out Section with a strong Call-To-Action. Explain your Service Offerings using Theme Options. Showcase Client Testimonials and win your audience’s trust. This Free Responsive WordPress theme has been designed considering mobile appearance, which make your site load faster on mobile device. Responsive ii is a mobile and SEO-friendly theme and help you boost your search engine rankings. Why Choose This WP Theme? Responsive ii is an HTML Mobile-first responsive WordPress theme that looks classy on any device like iPad, tablet, Desktop, iPhone etc. It has a new light framework. This Free WordPress theme comes with simple but powerful theme options for full CMS control. You can create attractive websites that are 100% responsive. This WordPress Theme can be used for any agency, services company, software website, technology firm or any other business website.